The villagers are requesting to repair or construct the bridge that connects Mrauk Oo with six other villages. This bridge crosses the “Aungtuck” stream, which is situated at the South West of Mrauk Oo. 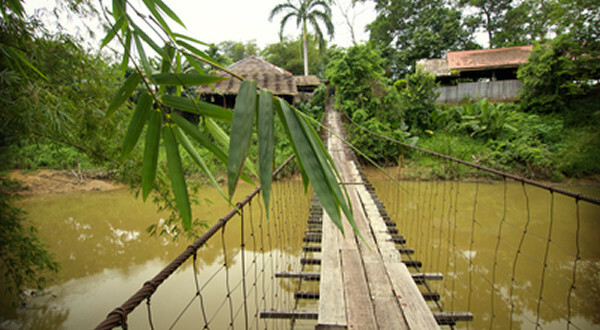 Eight years ago, the villagers constructed a wooden bridge. It is about 115 feet long. The depth of the stream is 8-9 feet with strong water flow during the Monsoon season but is dry in summer. It is the life line to 8,000 to 10,000 people from six villages who live on the other side of Mrauk Oo city. At present, the bridge is in a bad shape. If the dilapidated bridge collapses, these people will have a hard time going to Mrauk Oo to seek medical help, attend school, and do business, especially during the rainy season. In order to have a long lasting bridge, the Burmese engineers suggested a concrete bridge for cars, motorcycles and bullock carts. But it will cost US $ 50,000 – 55,000. 3. Discounted material suppliers — local or overseas. 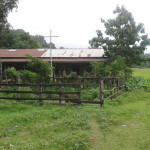 Challenges for the villagers — They are extremely poor and are struggling to feed their family by working seven days a week. Most of the young and able males have left Rakhine state to Yangon or overseas for greener pastures. If you can contribute in any way to this project, please contact: Steve Yoshida @ steveyoshida@gmail.com.